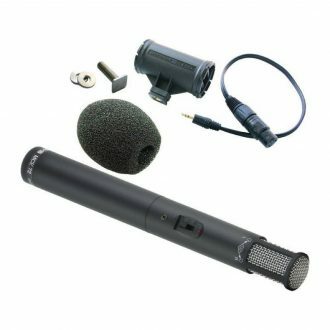 A matte gray ORTF technique Stereo Microphone including SG20. 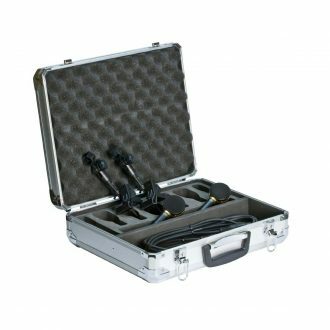 NUVO N22 Stereo Kit includes: 2 N22, Microphones, SKB carrying case, SMS, Stereo Bar, 2 Nuvo Windscreens, and Blumlein Coupler. 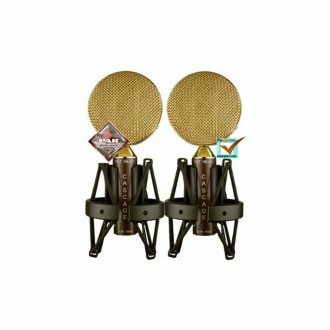 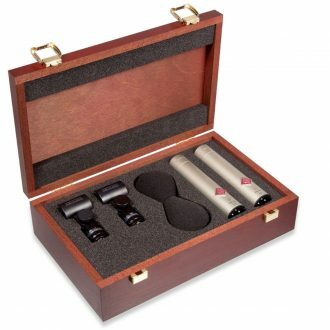 Includes: 2 x FAT HEAD BE Ribbon Microphone, 2 x Microphone clip, 2 x Leatherette pouch, Stereo Blumlein Bar. 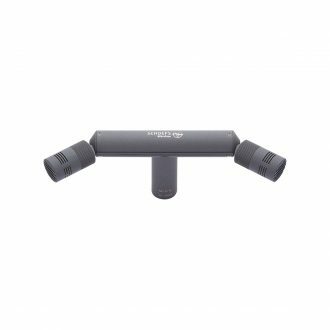 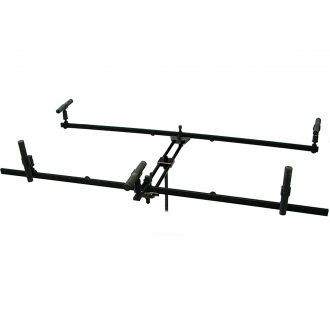 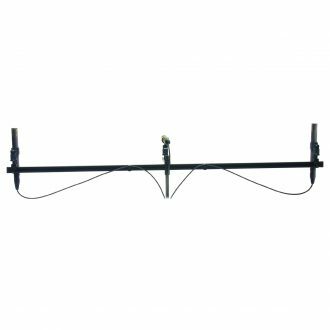 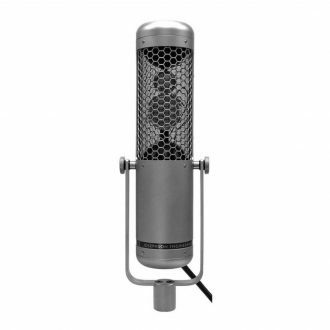 Includes: X-15 Stereo Ribbon Microphone, Suspension Shockmount, 20ft. 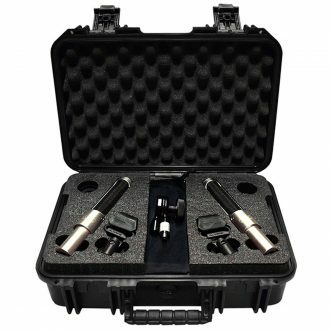 5-Pin XLR Cable, Splitter Cable, Aluminum Case. 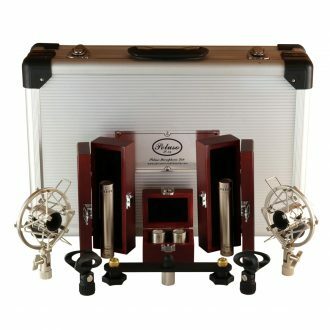 Available with optional Lundahl Transformers. 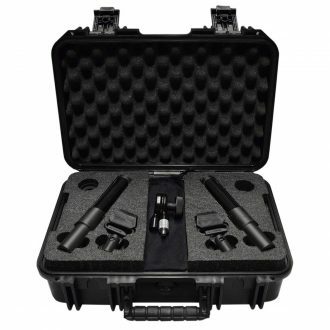 Set Includes 2 x FAT HEAD ribbon microphones, 2 x shockmounts, Blumlein stereo bar, Molded flight case. 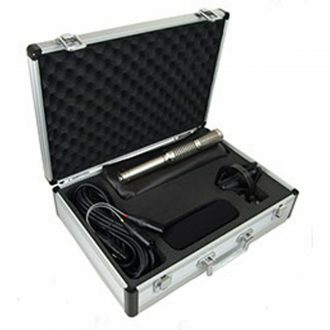 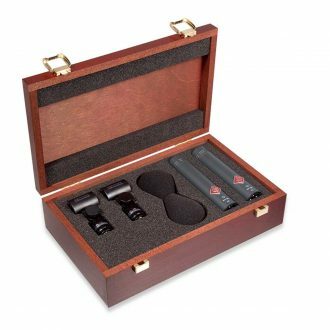 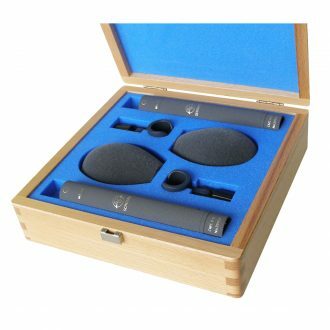 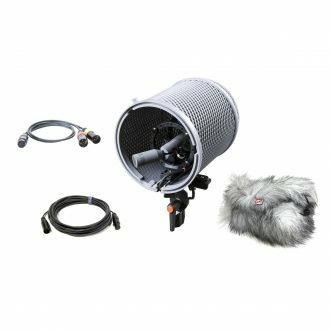 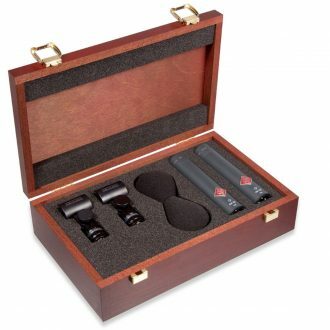 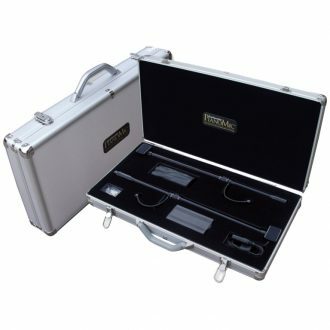 Includes Stereo Pair of P-84SK mics, 2 Cardioid and 2 Omni Capsules, 2 Hard Mounts and 2 Shock Mounts and Stereo Bar Mount packed in Wood Box and Flight Case. 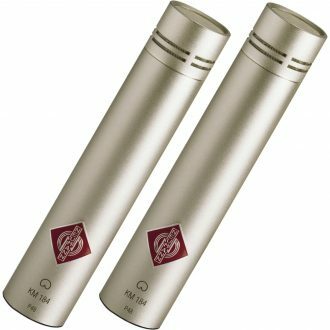 The M62 FET Hyper-Cardioid STEREO SET includes two identical M60 FET amplifiers paired with a matched set of TK62 hyper-cardioid polar pattern capsules. 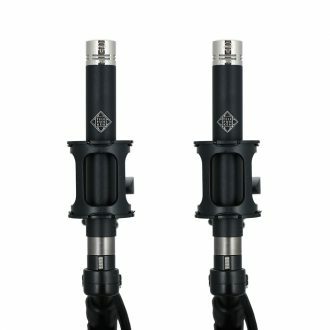 The M61 FET Omni-Directional Stereo Set comes with two identical M60 FET amplifiers paired with a matched set of TK61 omni-directional polar pattern capsules. 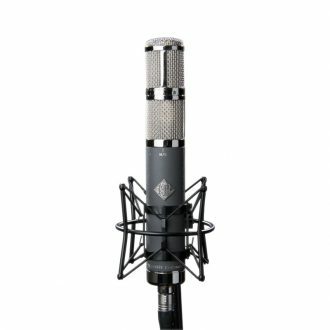 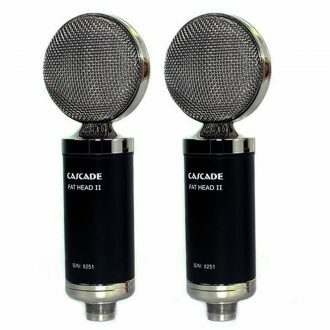 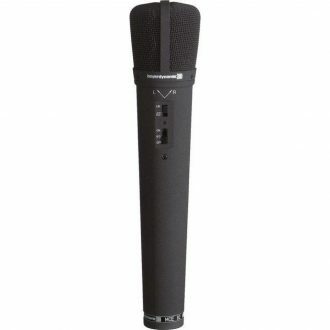 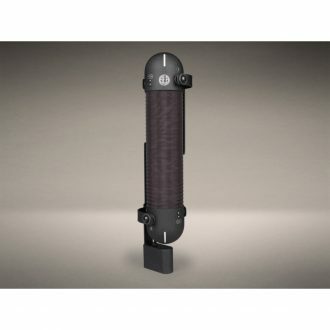 A uniquely voiced microphone with superior high frequency detail coupled with rich low-end qualities for a wide array of stereo recording applications. 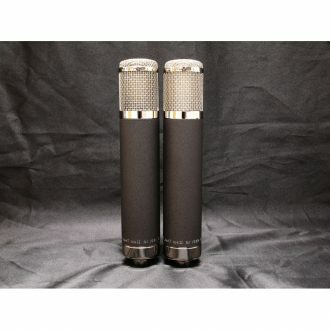 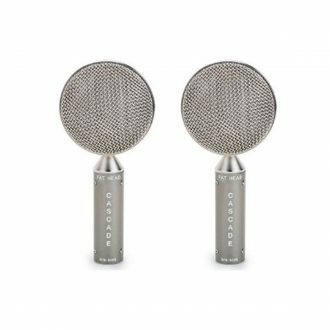 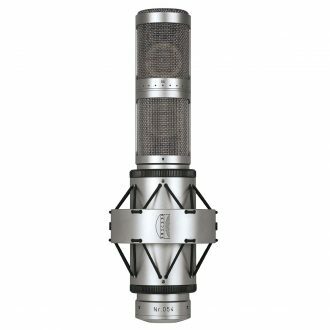 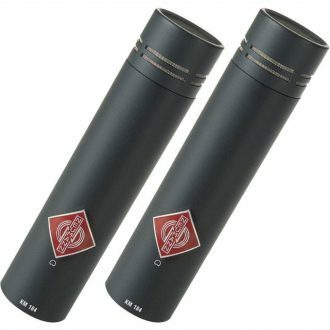 The AR-70 Stereo is an advanced stereo version of our popular AR-51 tube condenser microphone.